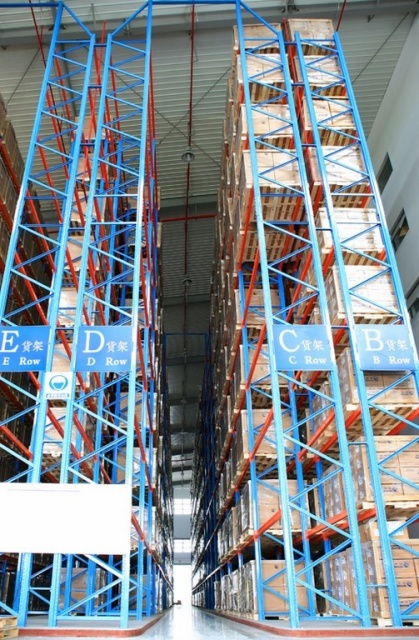 Item Code:UN-VR0805 Features:By allowing fork lift trucks to operate in aisles of up to half the width required in conventional adjustable beam pallet racking,Union`s Narrow aisle XL racking makes excellent use of floor space and maximises the height at which goods can be stacked. By allowing fork lift trucks to operate in aisles of up to half the width required in conventional adjustable beam pallet racking,Union`s Narrow aisle XL racking makes excellent use of floor space and maximises the height at which goods can be stacked. B. Storage and logistics center need of storing increase or ask for a certain number of storage urgently. D. Warehouse available clear height is higher,more than 8 meters. E. Can choose independent warehouse forklift,don`t plan to use warehouse forklift truck from outside to perform other tasks.